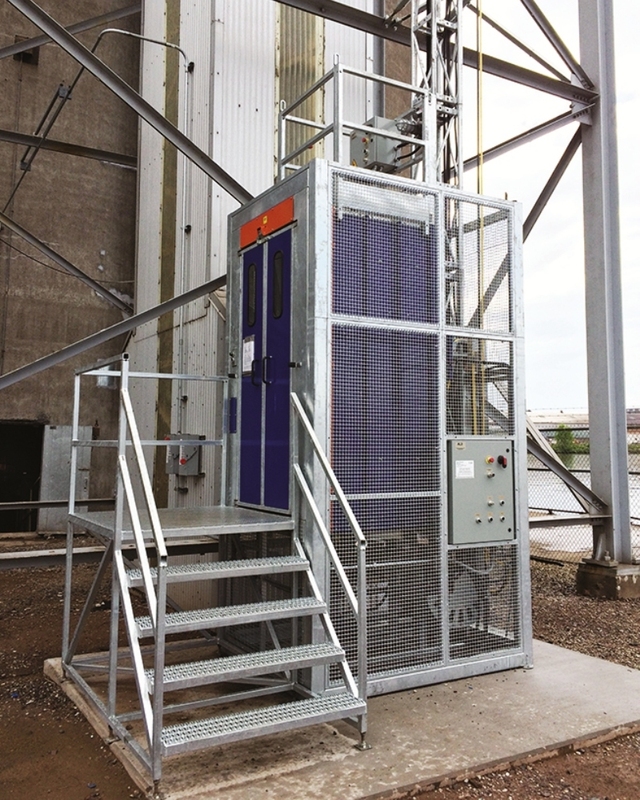 SEL Series rack and pinion permanent elevators are suitable for outdoor and indoor use. Constructed to meet any height requirement, SEL Series industrial lifts provide safe and efficient vertical transportation of persons, tools and equipment. Payloads range from 1 000 lb (450 kg) to 4 000 lb (1 815 kg) and lifting speed can reach 300 feet (90 meters) per minute. Customized car sizes and payloads are available upon request. If required, the SEL Series permanent elevators can conform to explosion proof requirements and regulation. Fraco was commissioned to manufacture and install two SEL Series permanent elevators to provide access to clinker and cement storage silos.